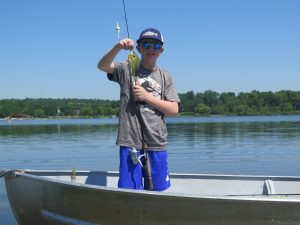 A large decrease in water clarity did not discourage young anglers from trying their luck in Lake Wingra last weekend. 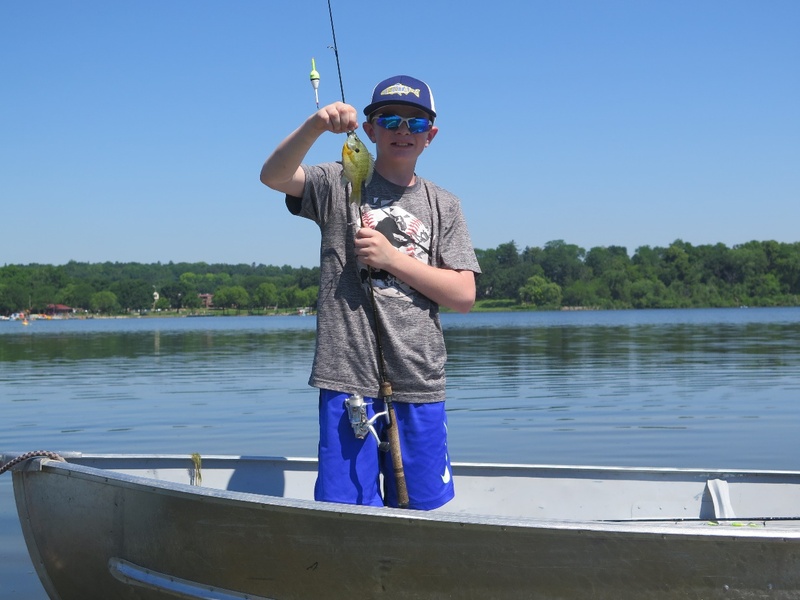 Joseph Julie was spotted catching blue gills on the Arboretum side of the lake (Figure 1). He shared he was enjoying a steady catch of the small fish. 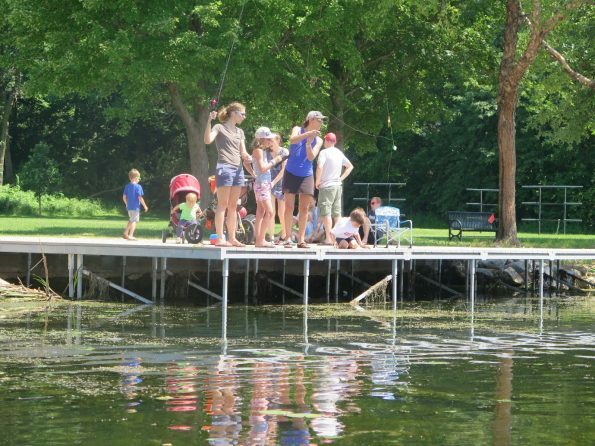 Parents were helping their children catch fish from the new fishing platform in the shores of Wingra Park (see featured image). Most anglers probably did not know it, but water clarity had declined dramatically over the course of the last 10 days. 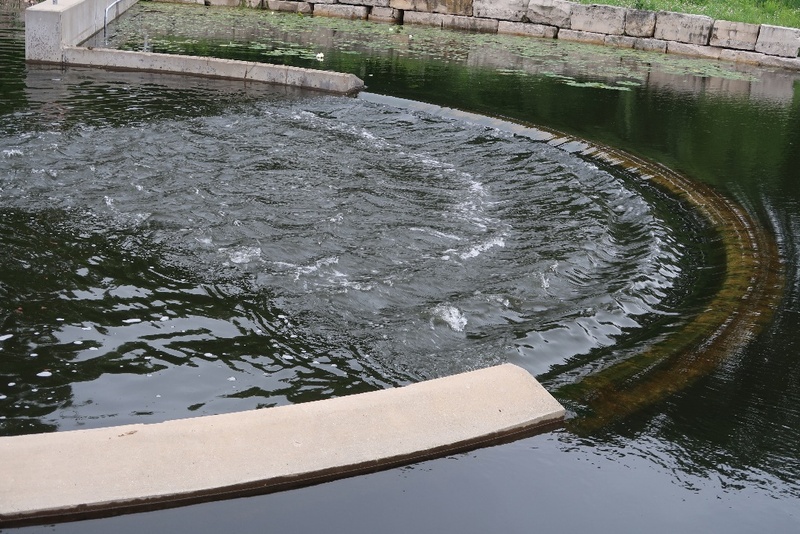 Secchi Disc readings were about 6 feet on June 14 and on June 24 the numbers declined to about 3 feet! 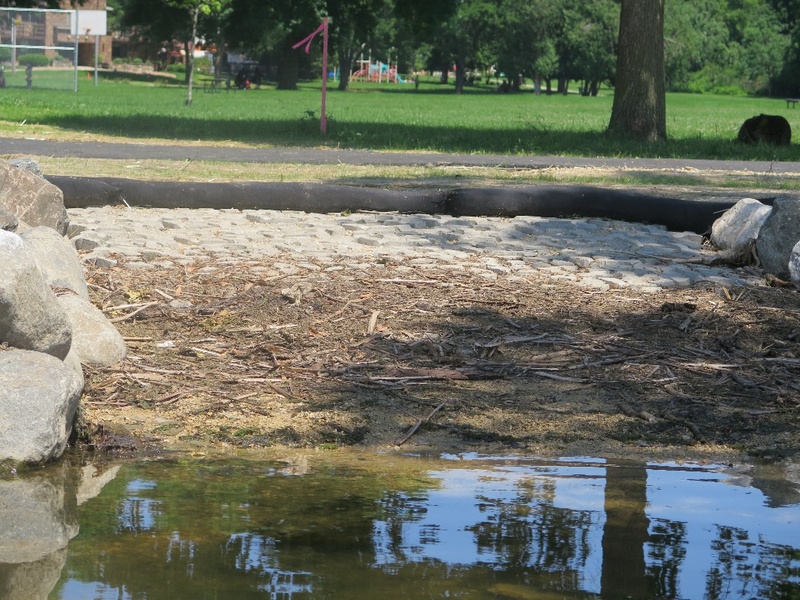 All the recent heavy rains and runoff is likely contributing to the increased turbidity in the lake. The amount of rainfall a week ago last Friday caused flooding in many places around the city. All the beautiful weather we had last weekend helps us forget how much rain we had in the last few weeks. The lake gives us many clues as to how the large rainfalls affect the height of the water in the lake. Enough water backed up behind the dam to elevate the depth of the water going over the dam (Figure 3). If you go to Wingra Park you might want to look at the debris line in the canoe and kayak launch pad. It is a few feet up on the pad and that indicates the lake level might have been six or more inches above normal (Figure 4).